Celebrating UK Paperback Publication Day! And thank you. 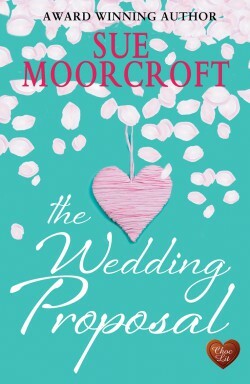 I’m lucky enough to have loads to celebrate, lately, and here we are again – UK paperback Publication Day for The Wedding Proposal! Publication Day is always lovely. It’s better than my birthday. I get one of those every year without any work whatsoever but to reach Publication Day takes an avalanche of work not just by me but by the entire and very lovely Choc Lit team. We work hard together to produce the best book that we can. My thanks to all of them for the rounds and rounds of edits and proofing, cover consultations, marketing and promo. I’d also like to take this opportunity to thank all my readers, not just for buying my books but for following me on Twitter, Facebook, Goodreads, Amazon, Pinterest, LinkedIn (and anywhere else) and especially if they have taken the trouble to send me lovely messages. It’s a privilege to be a writer in the age of social media and interact with readers – lucky me again. What do I say on the radio? When I first began to get published I felt that ‘doing radio’ was something other people did. It was a genuine shock when I received a request to be interviewed by BBC local radio. Until then, I had taken part in one radio interview, conducted over the phone, and I think the reason that it went so well was that I didn’t realise I was being interviewed. I thought the journalist was just chatting with me and would get on to the scary stuff later. So I learned early that if I treat radio interviews as a nice chat, they’ll generally go pretty well. 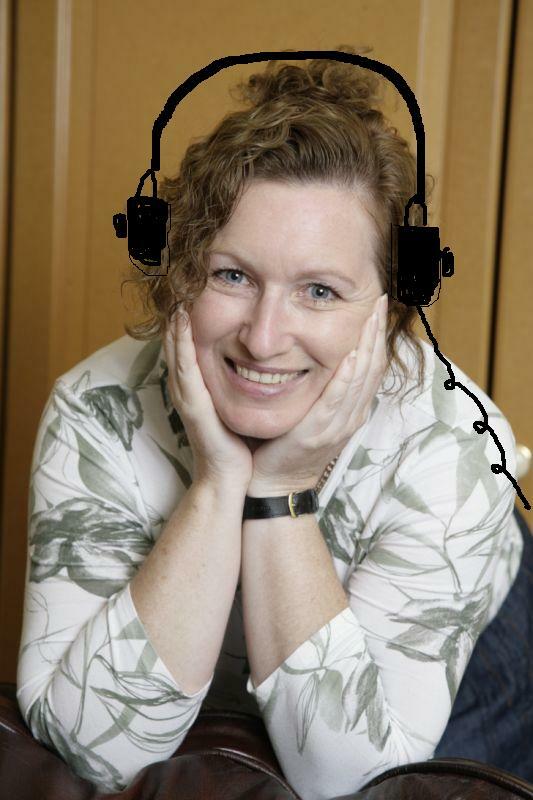 The technique has served me well and now I’m a regular guest on chat programmes on both BBC Radio Cambridgeshire and BBC Radio Northampton. BBC Radio Cambridgeshire has an afternoon slot on The Sue Dougan Show called In the Chat Room, where Sue invites people in to talk about a couple of topical subjects. It can be anything from finding the money to send a child to university to what you think about while doing the ironing. There’s usually another ‘Chat Roomer’ in the studio and so I have someone to banter with. Helen Blaby, of BBC Radio Northampton, does a twenty minute discussion of the Sunday morning papers, each week. When I’m invited to be the guest, I arrive about 9am and a lovely production assistant sits me down with all the papers and a cup of tea. I choose five news stories I have something to say about and then I’m shown in to Helen’s studio about 10.10am, tell her what the stories are, and we go on to chat about some of them live on air. To give you an example, yesterday we talked about happiness classes in the British army and social media, which was mentioned in several sections of every paper – business, commentary, social and news. What’s in these programmes for me? They’re not actually interviews about me or my books. Apart from the fun of chatting live on air, both presenters ask me about what’s happening to me at the moment, when the next book comes out, what workshops I’m running etc. So I reach their audience, which is about 300,000 in both cases; it’s just a touch less direct than being the subject of an interview. I’m also often the spokesperson for the Romantic Novelists’ Association (I’m vice chair), which is usually fast and soon forgotten, but it means that I occasionally have my name mentioned on radio stations throughout the country. If there are things you want to mention, jot them down on a piece of card. Try and avoid noisy paperwork. Take/ask for water. You may not have coughed for ten years but the moment you go live on air, you’ll want to. Turn off your phone or put it on silent or airplane mode. Or don’t take it into the studio. Don’t worry that ten minutes after you thought you were going to be on air, you’re still sitting out in reception. The production team have to ensure a smooth flow and have probably built in a few minutes into the schedule so you’ll be there when they want you. Put yourself in their hands and relax. It’s their problem, not yours. But build in time for travel. Better to be early and have to wait than to be late and miss your slot. I once sat outside BBC Radio Cambridgeshire in a traffic jam listening to Sue Dougan say I’d be on air in about five minutes … Not comfortable. NB I did have one slightly hostile interviewer at a radio station in Yorkshire. He obviously didn’t like fiction and particularly not romantic fiction. The trick, if you get a question you don’t like, is to make like a politician and instead of talking about something you don’t want to talk about, talk about something you do want to talk about. Don’t let yourself be drawn into confrontation. Don’t try and score points. See it as an opportunity to tell the listeners about your new book. The presenter isn’t the only one with control.